We had a post Thanksgiving Day dinner today after church, and I was assigned a fruit salad for 20. This assignment was not exactly on par with searching for the Holy Grail or rustling up a Golden Fleece. Nevertheless, living here in sub Girls Camp conditions, we struggled. Paco scouted out a large can of tropical fruit. I chopped up a few apples, threw in a bunch of bananas, and then the fun shifted. How do we find a container big enough? We have limited supplies on every front. Our digs are furnished, but furnished in this case doesn't account for the stretch that taking a large salad on a 30 minute bus ride presents. I'm not going in to how we also had to take mashed potatoes for 20 as well as cooked carrots--that would be a distraction from the REAL challenge. What our options all boiled down to was a round metal device hunkered down in a back corner of the kitchen. I scrubbed and scrubbed and dumped all the fruit in. 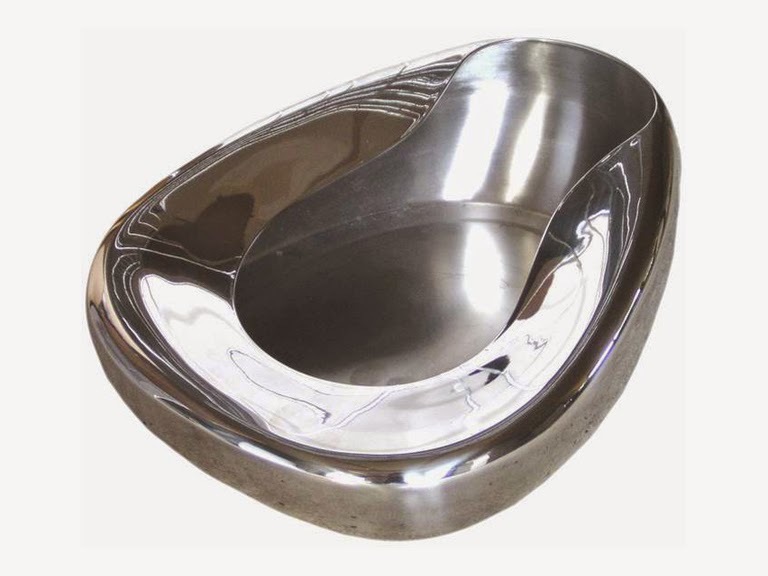 Bedpan? Most likely not. But then again, I didn't know that I was dousing cucumbers in wine for the last branch dinner. Nor do I know if toothpaste is caulking or herbal tea is kitty litter or spices are red Jello or potato flakes are soap flakes...we have mysteries. I think I'd have passed!